IMPRESSIVE FEATURES OF XINXIANG MEDICAL UNIVERSITY , HENAN , CHINA. XinXiang Medical College is WHO Recognized, Approved by PMDC and Provincial Government University of China. 4 Foreign batches already graduates from University in MBBS Program with more than 342 Student & More than 100 Pakistani Students ( Boys & girls ) are Studying in MBBS Program. Located in XinXiang City near the Zhengzhou City (Capital of Henan Province ). Started MBBS Project for Foreign Students in 2001. PG Program in Medical Subjects is running successfully in XXMU. Xinxiang Medical is a long history and distinctive features of higher learning. 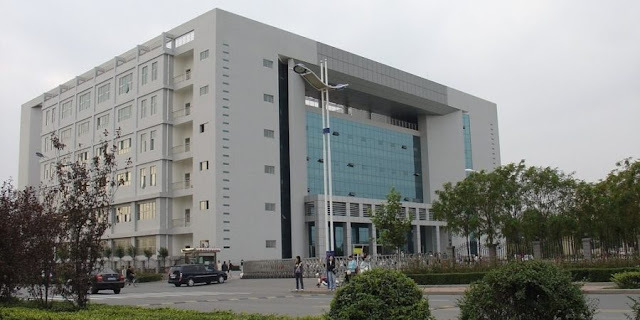 Located in Taihang Mountain Lu, Yellow Sea city of Xinxiang City Makino, is the case of ordinary colleges and universities in Henan Province, Henan Province is the only establishment of an independent Western medicine colleges. November 1952, plain province revoked, school takeover by the North China Administrative Committee, renamed the North China second healers school. Then after Xinxiang Medical College area, Henan Jixian Medical College et al., 1962 the school was renamed in North Medical College. In 1982, the school was upgraded to college, named Xinxiang Medical. In June 1998, approved by the Academic Degrees Committee of the State Council, has become a master’s degree granting unit. 2006 passed the Ministry of Education Undergraduate Teaching Assessment and get good. School covers 1868 acres (including affiliated hospital), building area 959,600 square meters.Teaching equipment research equipment worth nearly 300 million yuan, 1.0499 million paper books, e-books 3753.13GB. As of December 2014, the existing staff of 11,308 people (Campus 1949 people), including senior professional and technical positions staff 1653 people; all kinds of students in 46,531 people. Among them, 14466 Campus undergraduate, graduate 622 people, foreign postgraduate students, undergraduate 16 people, adult education students 16,094 people; three-wide College student 15333 people. The school has 20 teaching College (Department of the Ministry), has a relatively complete system of higher education graduate, undergraduate, students, and foreign cooperation in running schools, adult education, has an independent college – three full College. Its disciplines covering Medicine, Science, Engineering, literature, law, management, education and other seven categories. Discipline has a five provincial key disciplines, two provincial key disciplines 1. Have basic Medicine, Clinical Medicine, pharmacy, biology, psychology, biomedical engineering and other six disciplines authorized a master’s degree, 50 degree point two subjects and clinical medicine, public health, nursing, public administration and other 4 Professional master degree programs, 23 undergraduate majors. Approved national comprehensive reform pilot clinical medicine physician training program and the National Excellence pilot unit. It has clinical medicine, medical laboratory technology, nursing and pharmacy and other four national specialty, 10 provincial specialty, 28 provincial teaching quality projects, six provincial professional comprehensive reform, two provincial superior physician education and training program pilot, a provincial engineering education personnel training mode reform. And creating a “Xinxiang Medical College”, “Recent Advances in Ophthalmology”, “Chinese Journal of Applied Clinical Pediatrics”, “Clinical Psychosomatic Diseases”, “Chinese brain disease and Rehabilitation (electronic version)” and other five kinds of domestic and foreign public offering publications, including “Recent Advances in Ophthalmology” and “Journal of Practical Clinical Pediatrics” for the national Chinese core journals. It has five affiliated hospitals, preparing beds 9406; has 14 non-affiliated hospitals and more than one hundred teaching practice base. Several hospitals Awarded National Model Hospital assured the people, Consecutive municipal hospital of 100 strong. Among them, the First Affiliated Hospital of the first countries to resident standardization training base, the Second Affiliated Hospital established the country’s first provincial mental health care consortium. Schools adhere to the opening up and development, focusing on international cooperation and exchanges the International immunologist Bernard Malissen as the honorary professor, the formation of the research team, the establishment of a German medical laboratory tissue regeneration, France knockout animal laboratory, Central Laboratory of Endocrinology and Metabolism, Central America Environment and Health Laboratory, Britain nerve signal transduction laboratory 5 Laboratory of international cooperation , with a number of internationally renowned institutions to establish a long-term relationship. Adhere to the “going out”, “Please come in,” and invited internationally renowned experts come to the school to do an academic report, selected outstanding teachers to the United States, Japan, Australia, Canada and other countries training, lectures or engage in academic research, to create a good international academic atmosphere. When will the classes for Xinxiang Meducal university start?